I had this very interesting write-up all in my head when I got to work this morning, but I couldn't pen it down cos of work. I was just singing it like National anthem in my brain until one heavy load came in and I got distracted. Hmmm, the hustle is real mehn. It's well. I want to try as much as possible to be consistent despite my really tight schedule. God willing, starting from this Monday, I'm going back to our regular Face of the week feature. I was initially waiting for people to send mails, but to no avail. This time I'm grabbing the bull by the horn. If mountain doesn't come to Mohamed, Mohamed will go to the mountain, right? So that's what I'm gonna do right now. This Monday, someone beautiful is gonna grace our page by God's grace, so watch out, don't miss it for anything. Lol. 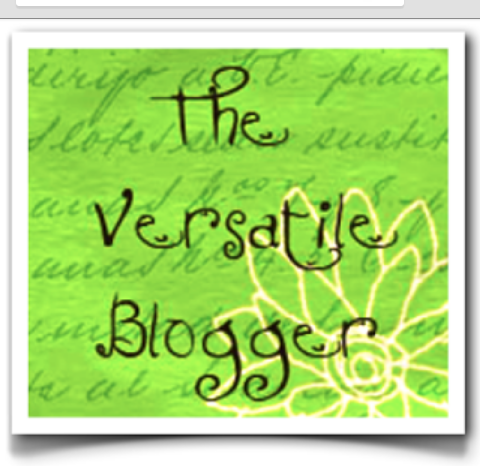 But my dearies, the Tuesday Guest-Post can't be done by me alone. I'll need your mails for that segment to be alive. Biko, even if you don't have anything you need advice on, but you have someone who needs counselling, help him or her forward it here so we all as a family will help out. Let's all send in mails for this, starting this coming Tuesday. Yes, I initially scheduled Sundays as Story Sunday which I did for a month or so, but now I'm substituting it for something else. Sundays are now strictly for motivating and inspiring words via pictures. I'm sure you all have noticed that I've started on that already. Ehmm, Tantrum Thursday still remains. Or what do you think? Should I change it for something else? Suggestions please. If you have anything to share with the house, it will be really appreciated so atleast my workload will reduce. Let us all come together and contribute to make Pammie's Crib an interesting place to be. You can send all your emails to pamciekeem@gmail.com, or Whatsapp on 07037531587. Thanks as I await your mails. *shinesteeth. Thanks also to the contributors of yesterdays post, still waiting for more contributions. I sight you Pat. *winks. Cheers to you all and have a wonderful weekend. Ciao. Remember to always spread the word and share with friends, Pammie's Crib is in town. P.s: Biko, I have few things I need to perfect on blogging, cos the person that was putting me through yaff relocated. So, I need a tutor. Kindly add me up on Whatsapp for a question and answer session. Thanks. 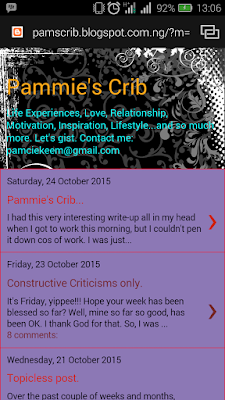 Like my Facebook page- Pammie's Crib. I needed that push. Thanks dear. I trust u o jere Pam. If Muhammed no go to Mountain then Mountain go go to Muhammed,dats just it. Wld try my best possible to bombard u with e mails henceforth. Biko, I'm waiting for those mails. Start sending luv. Ahhh Bmf dear, abeg send am na. Pleaseeee.